It's that time of the month again! 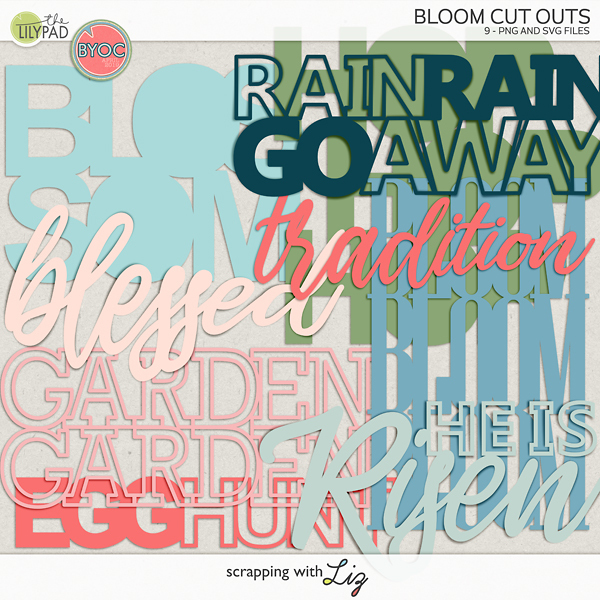 It's time for Build Your Own Collab where all of the Lilypad designers make coordinated products so we can mix and match and build our own perfect collections. 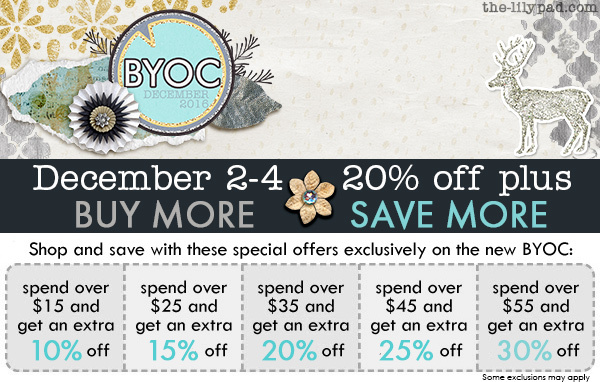 BYOC products have a minimum 20% discount through Sunday, December 4, 2016. 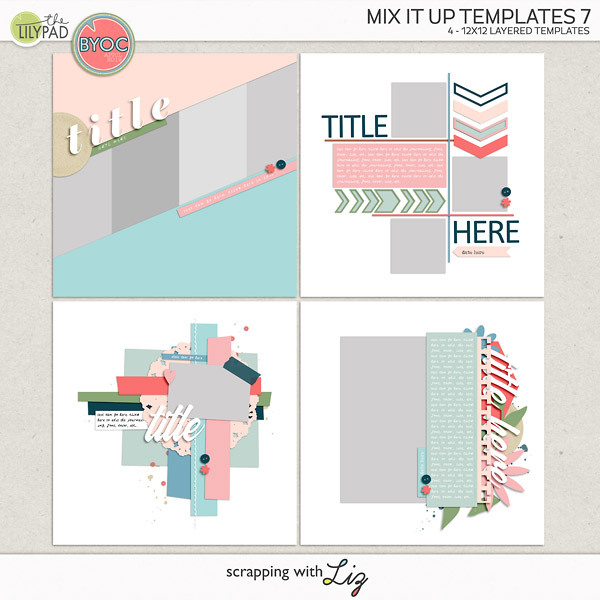 Liz has two pretty templates sets for us, one more clean and minimal while the other is more embellished, but both are beautiful with those sparkly scatters and glitter. 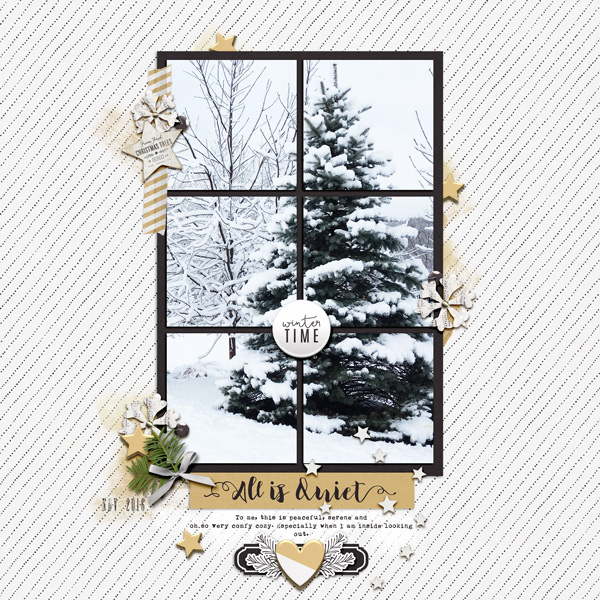 Here's a gorgeous winter photo scrapped by Polly Jenn using To Remember Templates. 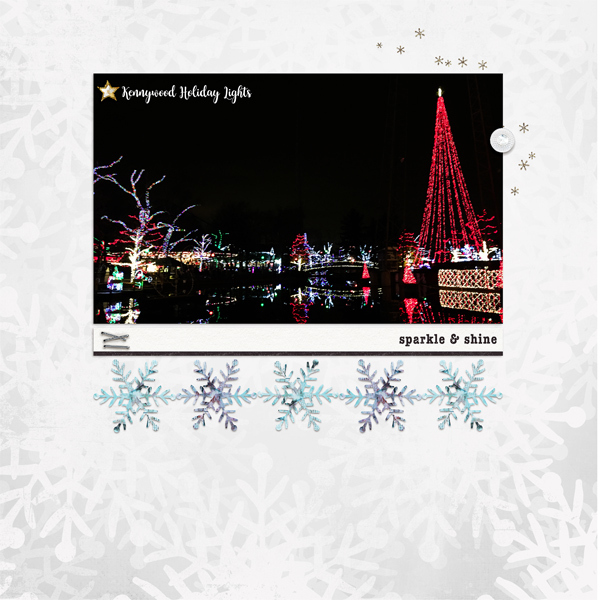 Donna scrapped pretty Christmas lights with To Remember Templates. 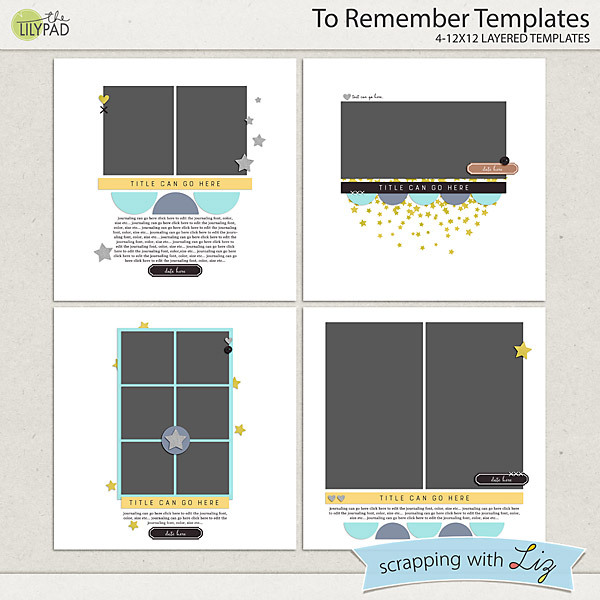 Ophie scrapped her Christmas tree with Beautifully Remembered Templates. 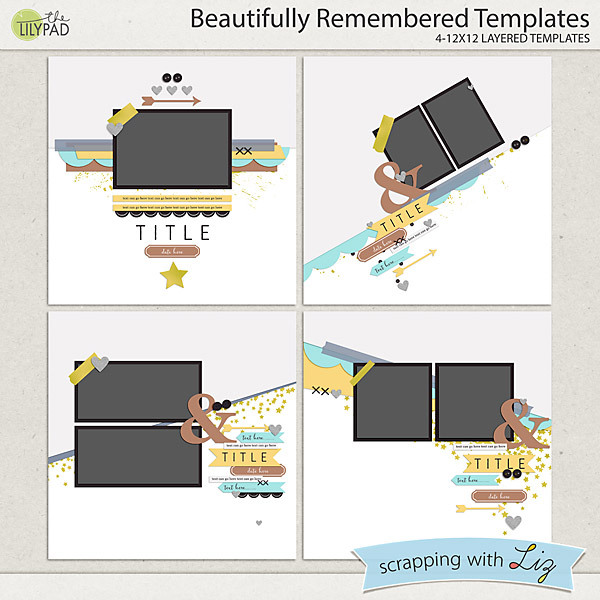 And Polly Jan scrapped this gorgeous page with Beautifully Remember Templates. 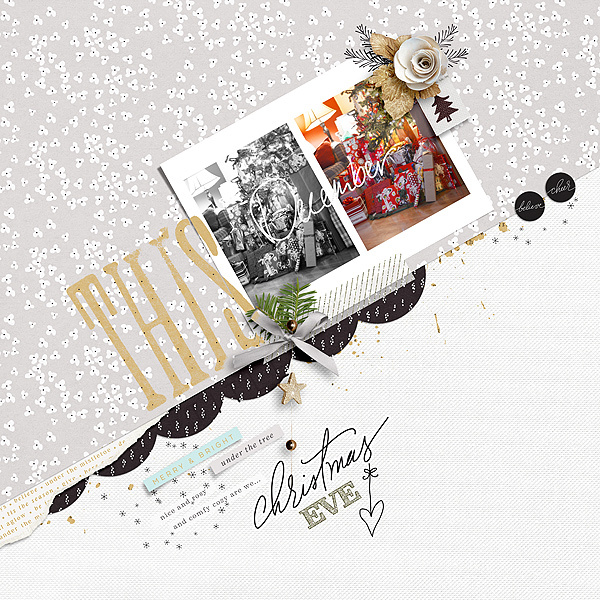 Check out the product images in the store for more inspiration!